“A. 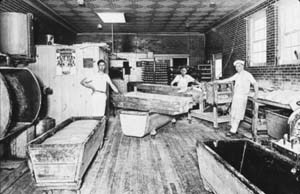 Schwartz, Bakery & Confectionery.” Digital Gallery. 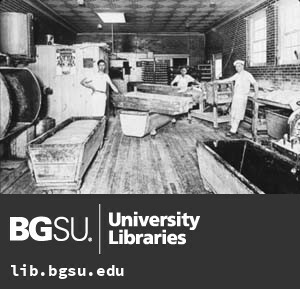 BGSU University Libraries, 4 Aug. 2015, digitalgallery.bgsu.edu/collections/item/14425. Accessed 24 Apr. 2019. If there is any one thing that is of importance to the average citizens it is to know where to get the best the bakery affords at moderate prices. The above is one of the best bakeries in the country, where the hungry wayfarer may obtain the most wholesome of breadstuff and delicate pastries. Mr. Schwartz also carries choice lines of confectionery and tobaccos, operates a parlor where his own choice ice creams are served, and his new quarters in the Von Kanel block are handsomely arranged and equal to any in the city. The department devoted to baking is under the personal supervision of Mr. Schwartz, who is a gentleman who has gained an eminence in the mercantile arena only attained by the strictest adherence to honest principles, coupled with enterprising and careful business methods. He has been established here for the past eight years, supplies those delicious edibles always so desirable at weddings, balls, banquets and the like, and has gained an enviable reputation. Mr. Schwartz is ever public spirited and enterprising in promoting the welfare of the city, and is admired and looked up to by all his fellowmen.